BREAKING: The NY Board of Elections will comply with the feds and hand over the state’s voter database. Here’s what that means for you. ALBANY, NY — Personal information about all New York voters will be released to President Donald Trump’s controversial “election integrity” commission, the state Board of Elections announced Wednesday, despite promises from New York Gov. Andrew Cuomo that the state would withhold its voter database from the feds. Want more local news from your NYC neighborhood? Sign up here to receive free newsletters and breaking alerts from Patch. However, each state’s decision on whether to share its voter info with the feds — or with anyone else — is ultimately not up to the governor’s office. It’s up to the board of elections. And Wednesday, New York’s board made the choice to comply. Gov. Cuomo’s office did not respond to a request for comment. Social security numbers and driver’s license numbers will not be included in the dump, according to John Conklin, spokesman for the New York State Board of Elections. But voters’ names, ages, addresses, political parties, voting histories and various other details will still be in there. Here’s a sample layout of the files New York will be handing over. In short: As of this afternoon, personal details about you and your political views — along with those of nearly 13 million other New York voters — will be sitting on a computer in the White House, waiting to be tapped into at the U.S. government’s discretion. To do this effectively, commissioners said, they would need info on each voter in the country. In response to this unprecedented demand from DC, elections officials in dozens of states announced they either would not comply at all or would only hand over some of the details requested. Various watchdog groups have also tried to block the data flow in court — so far, to no avail. 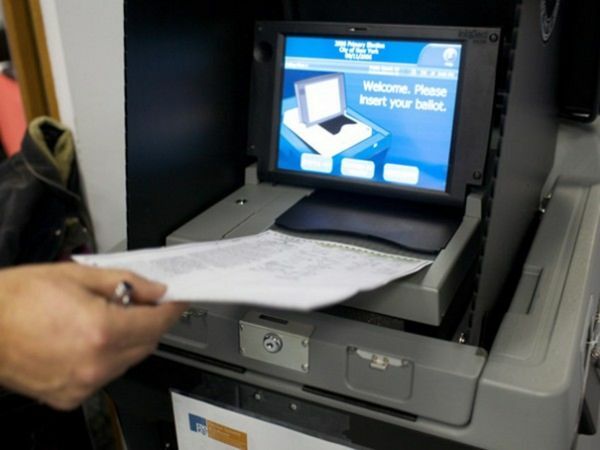 It is not entirely uncommon for the New York State Board of Elections, as well as boards in other states, to release voter rolls upon request. Politico has a good explainer up on what is considered a legitimate request and why. But in this case, privacy advocates are worried about the implications of the White House having easy access to a database of every voter in America. Common Cause, a self-described “nonpartisan good government watchdog group,” has also been on the front lines of the resistance. In a lawsuit filed against Trump’s commission, Common Cause argued that a nationwide roundup of voter data violates the Privacy Act, passed in the wake of Watergate to protect Americans from government surveillance. This entry was posted in Cuomo, Discrimination, Executive Order, first amendment, immigration/deportation, Trump, Uncategorized, Voter Fraud, Zeldin and tagged board of election, Cuomo, information, new york state, voters. Bookmark the permalink.